We’re proud to have supported the UK launch of the new Nissan LEAF in Scotland this week, which saw a group of 20 industry journalists experiencing this brand new electric car for themselves. Taking the car on a journey of nearly 100-miles from Glasgow Airport to the remote Eriska Hotel on the West Coast of Scotland, the drivers got to try out all the new LEAF features as well as rapid charging along the way, although the cars didn’t really need it. Developed as a ‘no compromise’ car, Nissan chose to launch their new model in Scotland to show that electric cars aren’t just for urban driving, and can be enjoyed everywhere. 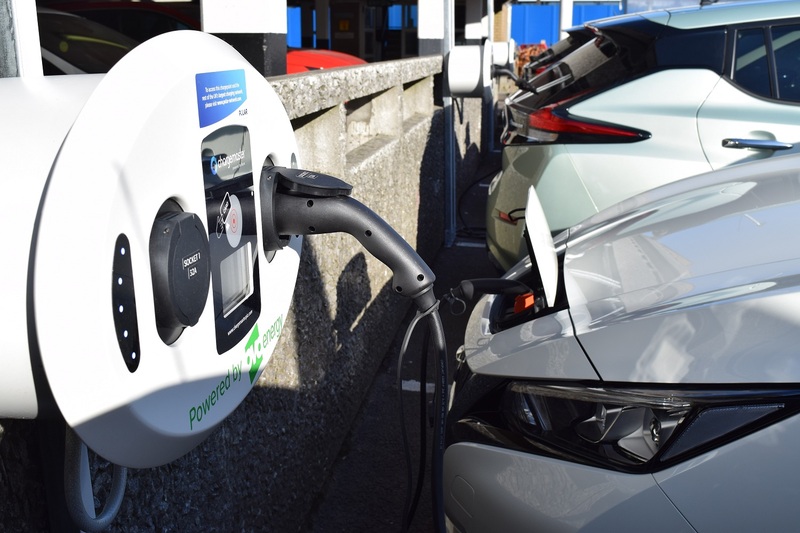 Chargemaster supported the launch by installing 3 permanent Fastcharge units, available on the POLAR network, at Glasgow Airport as well as temporary units at the Eriska Hotel to provide overnight destination charging. Previously, in November 2017, the EV Experience Centre in Milton Keynes hosted the UK premiere of Nissan’s new generation LEAF, offering visitors an exclusive first look at the new model and its features.